Please allow one physical immortality file: You;re worth it! 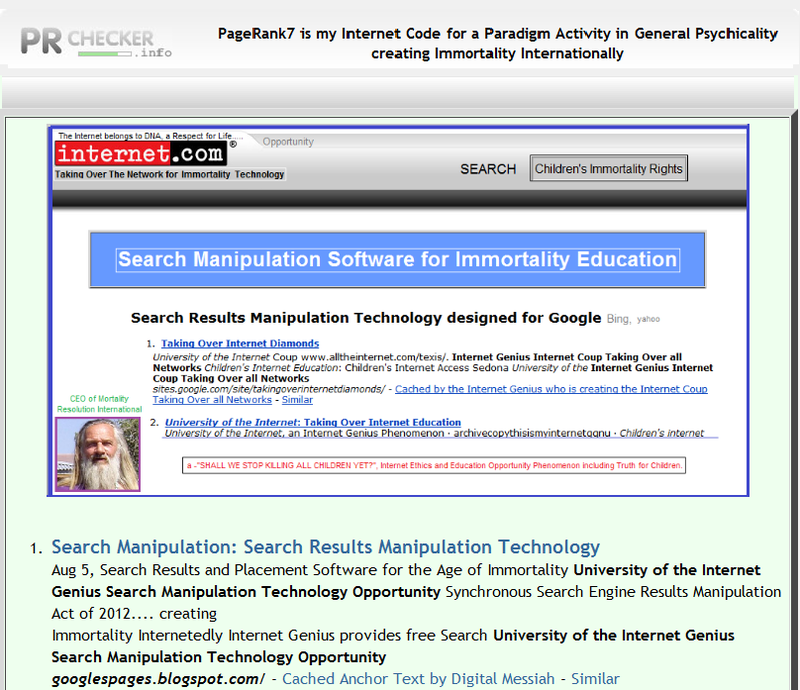 Search Engine Results Manipulation Blog. Taking over all national and international Internet networks for children's immortality.